Skyline Park has changed quite a bit since my last visit four years ago. The most visible change comes into sight when one is still some distance away, namely the Sky Wheel (#1213). It was hard to know what to make of this today, as it was being run with no braking whatsoever. 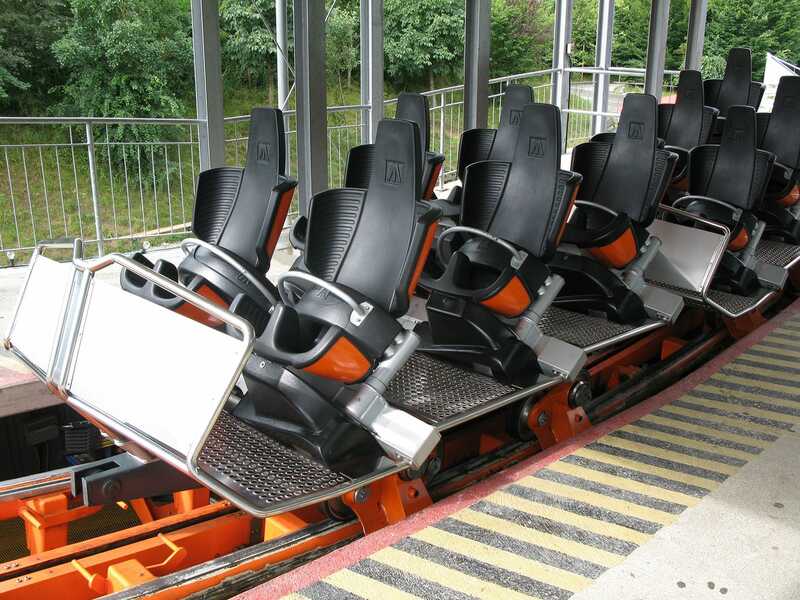 Riders were treated to the one inversion that this design guarantees, and then at least twenty trips back and forth through the station before the car slowed enough to be stopped. This was not ideal on an empty stomach to say the least, as the design of the ride made the drops considerably more intense than the pirate ship motion one might expect. It was impossible to resist a reride on the Bob Racing ride, which had been a favourite last time. It would have been better to rely on my memories, as today it was running far too slowly to be thrilling. It was almost tempting to stop the bobsled and step out, though I doubt park staff would have been impressed if I'd tried that. I was similarly disappointed in the Sky Rider; though it is arguably the best coaster Caripro ever built it is nevertheless a bit too gentle for my tastes. 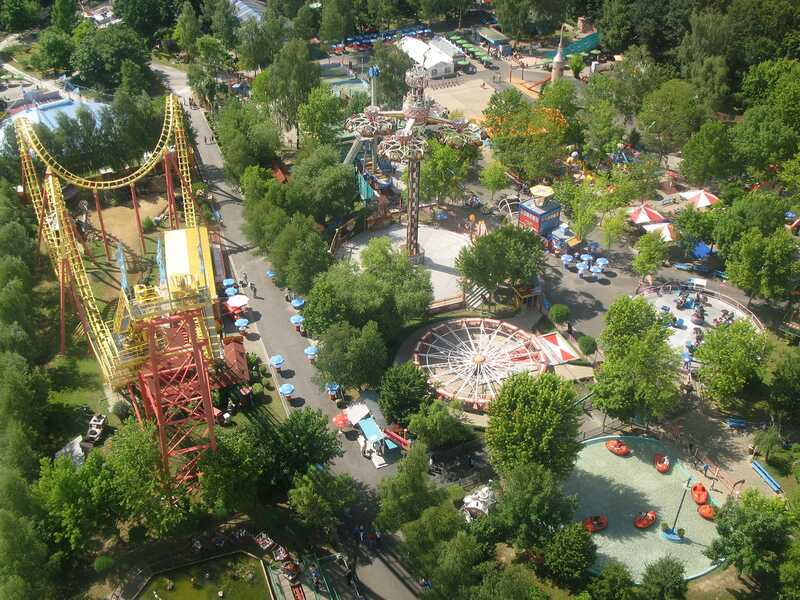 Skyline Park is owned by the Löwenthal family, and as such it was hardly surprising to see a massive Wildwasserbahn hiding away at the back of the park. This looked very like the massive model that the family travels to big fairs, but it clearly wasn't given that that one is currently in Düsseldorf. Schloß Thurn is a family park spread out around an enormous landscaped garden. In appearance it is not at all unlike Alton Towers, with small pockets of rides separated by lengthy walks. It takes a little over half an hour to complete a lap of the park, and that doesn't include the time required to credit whore the Drachenbahn (#1214) and the Butterfly (#1215). Due to time pressures those were the only rides I tried, but it didn't look like there was anything else significant that I missed. Freizeit-Land Geiselwind is a gem of a park located anywhere between ninety minutes and three hours (aargh!) east of Frankfurt. The general theming can be thought of as cartoonish, taking cues from the bang and pow symbols associated with the original Batman movie. This works surprisingly well, and the end result is one of the most colourful parks I've been to. Three of the four coasters are off the shelf attractions; namely the Blauer Enzian, the Marienkäferbahn (#1216), and the Boomerang (#1217). The fourth is a one of a kind spinning coaster by Zierer, but on riding it passengers quickly realise why no other models were ever sold. Drehgondelbahn (#1218) passes through a themed tunnel which should be the highlight of the ride, but this area is marred by a major kink in the track that quite frankly hurts. Having said that, this park is not about roller coasters. Fans of flat rides are more than catered for, with a good selection from the Huss catalogue, a large log flume, and the Top of the world observation tower. The latter did seem a little on the pointless side, as there is very little to observe in the immediate area of the park, but that is definitely a nitpick. The park on the whole is superb, well worth half a day. Unfortunately I had to leave before I was ready thanks to an appointment with Aer Lingus, but next time I'll allow longer.